... to Naturvielfalt.ch – the platform for nature observations! Naturvielfalt.ch is a portal for the recording of flora, fauna and mushrooms in Switzerland. 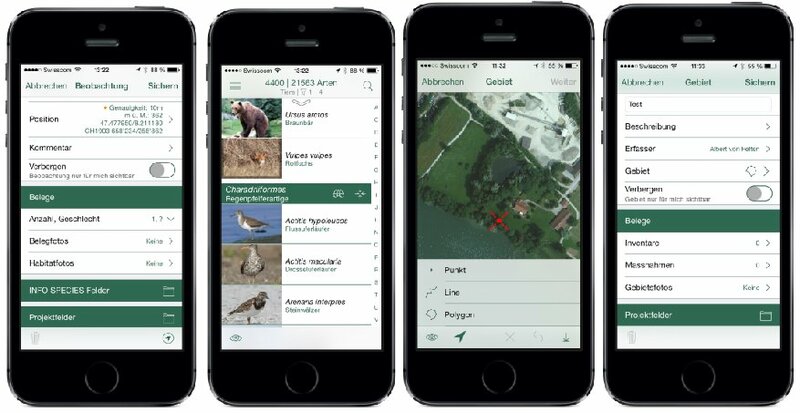 A free user account enables you to upload and administer your nature observations. The collected data will be visible for everyone interested in nature. You may administer your observation data and determin its access. By sharing your observations you don't only please other nature observers but you also support the nature conservation with valuable information. The entire app is available for 9.- CHF! We wish you a lot of exciting observations of nature!